When setting up a system, you may be wondering which types of detector you should install in your home. Two of the most popular types of detector are motion detectors and glass break detectors, but though they both protect your home, they do so in very different ways. Motion detectors will detect any movement within the home. However the individual was able to get in, whether it be through an open door or an open window, they will still set off appropriately positioned motion detectors. Because of this, a motion detector may be seen as more secure, as it doesn’t rely upon a single point of entry. They often give false alarms because of things moving inside, such as pets or drapery. They can sometimes be defeated because they only check for movement at intervals. They don’t actually check for intrusion, just motion, and may have blind spots. As a whole, the issue of having false alarms tends to be the most significant when it comes to motion detectors. What exactly is a glass break detector? It actually does not detect broken glass itself, but instead detects the sound of broken glass. That can mean both some beneficial and some negative things. “Why would I need a glass break sensor when I already have window sensors?” one might ask. The answer is simple: as we explained above, magnetic systems are only sensing the trajectory of the object they are attached to, and they cannot do anything when someone skillfully breaks the glace. This is where the similarly dubbed detector comes in, which uses an audio microphone, allowing it to “hear” loud noises. 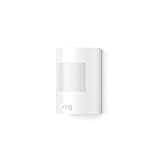 In case your home has large windows, or doors with decorative glass panels on them, such sensor offers complementary protection, alongside the normal alarms. That means that the detection actually occurs when your home is broken into, and because windows are often broken, the entry is more likely to be caught. Because glass has a very distinct sound, it is more likely to catch glass breaking and less likely to catch a false positive. On the other hand, it’s also possible that it won’t trigger at all, because the intruder could choose not to break any glass. Glass breaking systems are best used in homes where the glass would make the most sense as an entryway, such as homes that have large window facing relatively private areas of their home, or those who have glass windows in their doors. Considering a motion detector vs. a glass break detector is actually choosing between apples and oranges. Motion detectors detect an intruder once they are inside the home, while glass break detectors detect the actual act of entering into a home. 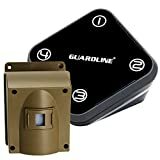 Motion detectors may be more useful overall, because they will theoretically catch an intruder regardless of how they attempted to enter your home. At the same time, when paired with solid security, a glass break detector is going to be more accurate and precise about whether someone is truly breaking into a home, rather than potentially delivering false positives. Ultimately, choosing between the two isn’t just unwise, it’s really unnecessary. If you want to protect your home, you want an entire suite of security systems. Protect America can provide you with a number of different types of sensor within a single, consolidated system, so you can achieve complete protection.